However, Helen Keller belonged to the twentieth century. We have stepped into the next century and so has the progress of medicine. Now, the corneally blind do not have to wait to die so that they may see. A corneal transplant is the operation in which the damaged opaque cornea is replaced with a clear cornea obtained from a donor. But there is only one thing that stops them benefitting from the wonders of Modern Medicine…Us, the living sighted. 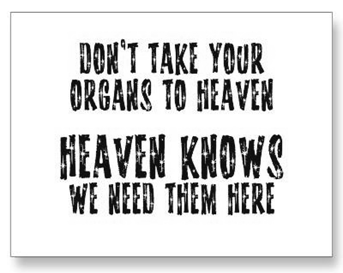 What prevents us from donating the eyes of our near and dear ones when they die? That one act of kindness can give sight to two! As of today, eye collection figures stand at around 20,000 eyes per year from approximately 400 eye banks across the country. Considering the fact that about 25,000 blind people are added every year due to disease, injury, infection or malnutrition, the numbers do not even meet up to our annual requirement, leave alone the huge backlog. This is one area where our burgeoning population can be an asset for us, but alas, we lose out on the battle thanks to our attitudes! A startling fact is that we still import eyes from Sri Lanka. Sri Lanka, a country that is 1/4th our size, not only caters to its own population, but also sends eyeballs to several nations of the world! 1. Eyes can only be donated after one’s death. 2. Eyes have to be removed within 4 to 6 hours after death. 3. The donor need not be taken to the eye bank. The Eye Bank Officials will visit the home of the donor for no extra charges. 4. The entire procedure of eye removal does not delay the funeral, as it takes only 20-30 minutes. 5. People of any age can donate their eyes. 6. 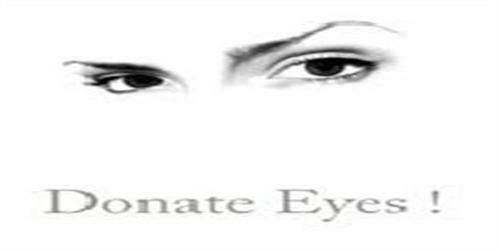 Eyes can be donated irrespective of whether the person had pledged his eyes or not. 7. The face is not disfigured by the removal of the eyes. 8. A small quantity (10 ml) of blood is taken from the donor’s body for testing. 9. The eyes are evaluated by the eye bank personnel and the cornea is used for transplantation by a trained corneal surgeon. 10. Eye Banks are non-profit organisations. You cannot buy eyes. Patients are called in strictly according to the waiting lists. 11. The identities of both the donor and the recipient are kept confidential. 12. Each person can give sight to two individuals. 3. Suffer from diabetes, high blood pressure, asthma, tuberculosis etc. Call your nearest Eye Bank and pledge to donate your eyes. You will be provided with an Eye Donation Card. You can also dial the 24 hour toll free number 1919 for eye donation.